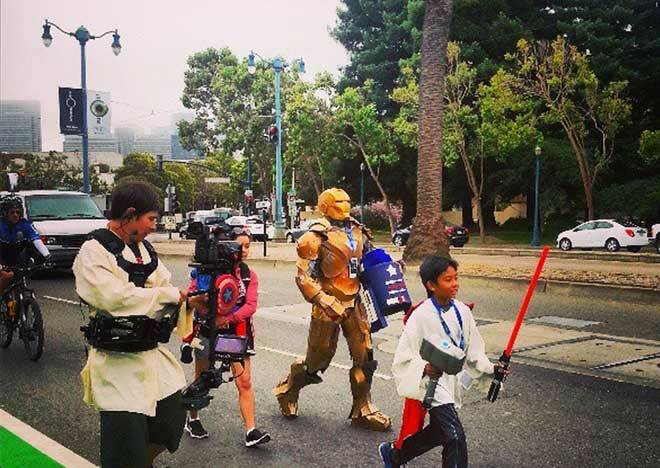 After traveling since Wednesday from Skywalker Ranch to San Francisco with the swiftness of lightspeed, Star Wars: Course of the Force’s lightsaber relay race, a fundraiser for the Make-A-Wish Foundation, invades Los Angeles tomorrow, Friday, July 12th. After the relay passes through Pacific Palisades and heads to the Santa Monica Pier, the celebration continues with their Conival. Nope, that’s not a misspelling; the Conival is a warmup for Comic-Con in San Diego. Tomorrow’s festivities, which run from noon to 6 p.m. and are free, include expositions, giveaways, and a throwback 1980s performance by the Spazmatics at 4:30 p.m. If you can’t wait until 2015 for Star Wars Episode VII, here’s an excuse to dress up as your favorite character. Previous articleThe Great Paper Debate: What Will Become Of The Los Angeles Times?